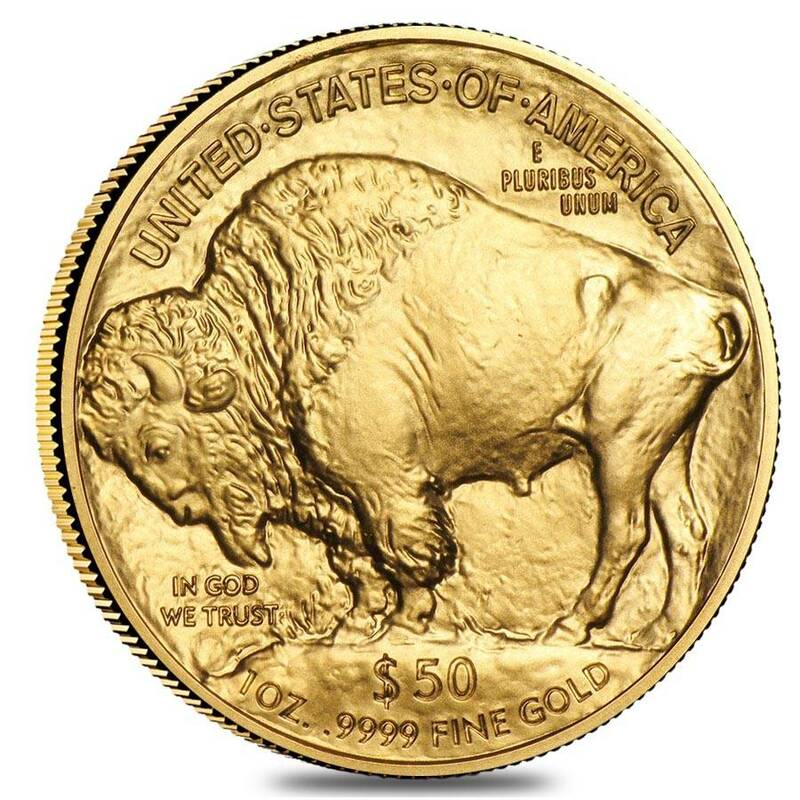 The American Buffalo is one of the most popular collections minted by US Mint and introduced to the public in the purity of 24k gold (.9999). Mintage of this series was authorized by Congress through the Presidential Coin Act of 2005, which called for the manufacture of a 24k gold coin with a face value of $50. The coin design was inspired by the well-known James Earle Fraser’s artwork of Indian Head nickel and has gained its nickname from the American Bison on the reverse side of the design. 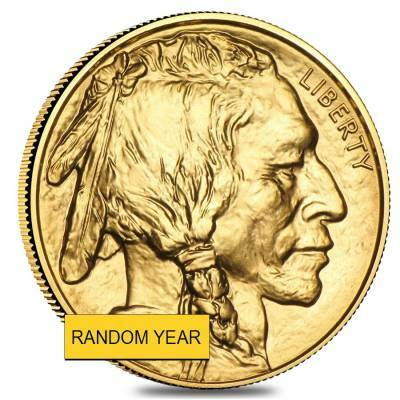 The Native American featured on the obverse is believed to be an aggregate based upon three chiefs of differing tribes: Two Moons of the Cheyenne, Big Tree of the Kiowa, and Iron Tail of the Lakota Sioux. The reverse of the coins features the famous profile of Black Diamond, a 1,550-pound American Bison then living at the Central Park Zoo. Due to a combination of the coin's popularity and the tremendous coin's design, this gold bullion would be a great addition to any precious metals portfolio. Made from .9999 pure gold with a weight of 1 troy oz. Carries a face value of $50 USD. Official legal tender gold coin guaranteed by the US Government. Year of mintage will be chosen randomly. Design inspired from the famous Buffalo Nickel originally minted in 1913. Obverse: The profile portrait of a Native American, courtesy of the American sculptor James Earl Fraser. The image was obtained by mixing the features of three different Indian American tribe chiefs that posed for Fraser: Iron Tail (Lakota), Big Tree (Seneca) and Two Moons (Cheyenne). Inscriptions: “Liberty”. Reverse: The iconic image of the American Buffalo. The depiction was inspired from a Central Park Zoo’s 1,550 pounds bison that lived in the 1910s and features the standing Black Diamond Bison facing to the left. The buffalo is surrounded by the words “E Pluribus Unum”, “United States of America” and “In God We Trust”, “$50” and “1 oz. .9999 Fine Gold”. Bullion Exchanges offers gold bullion coins of the highest quality. 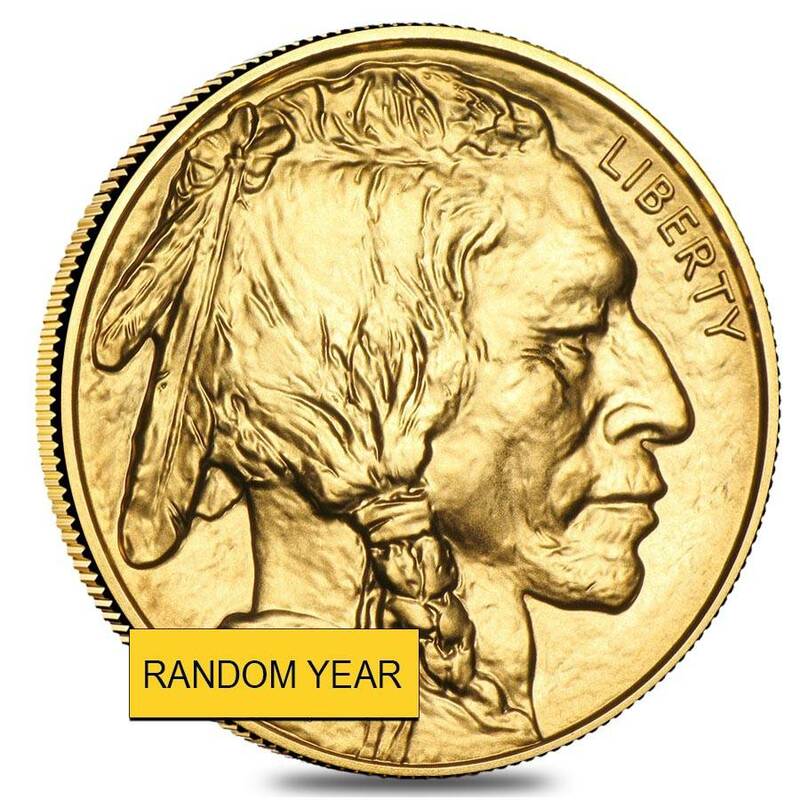 Choose this amazing 1 oz Gold American Buffalo (Random Year) and add this coin to your investment portfolio! Click on ‘Add to cart’ and you will have it wrapped and packaged to be safely delivered! For any questions, contact our customer service associates at 800.852.6884 or send us a message, we will be happy to assist you. I received my buffalo coins about a week ago, and they where great looking. All ten Gold Buffalos are great and exactly as described. Fast shipping and awesome packaging with extra care. My deal with bullion exchanges turned to a great investment. Awesome people to deal with! Highly recommend thank you!!! Great offer for the Gold Buffalo. Very impressed by the customer service and delivery - I received the coin very quick and in good quality! I love buy with Bullion Exchanges! Their awesome customer service placed my order in just a few minutes and told me when my item would ship. My Gold Buffalo came in perfect condition with great packaging that including free shipping. BE's website showed me that my coin is IRA approved and minted by the US. I will buy again very soon! Ship fast and provide quality products. From now on for all my gold and silver products I will check Bullionexchanges first before looking elsewhere.Great job! I have always received each and every item that I have ordered in great condition just as described. The product was packaged well as usual plus Bullionexchanges offer free shipping, always. Thank you very much! Great transaction, awesome packaging and super fast shipping.Thanks. I just received the gold Buffalo. It was packaged well and delivered super quick. Thank you very much! I was looking forward to get the gold Buffalo. Surprisingly I received my package so quick and in perfect condition.I will do more business with BullEx.Thank you very much!!! You can’t go wrong with bullion exchanges, the best customer service ever! I got this gold buffalo in awesome condition and very happy with my coin.I will continue to be a great customer to the great dealer! With this purchase, you earn 1326 Bullionaire Bucks 1326 BB = $1.33. We currently have 191 of this item in stock. For every $1 spend, you will earn 1 Bullionaire Buck which is equivalent to $0.001 off a future purchase. 1326 BB = $1.33.